Fold it, stick it, knit it, print it… create it! Handmade – with WOW factor! Fate took naval architect/ engineer David on a posting to Edinburgh, Scotland in the late 1960s. While he and his wife Anne were strolling along the city’s famous Royal Mile, they spotted an aged silk shawl, dated 1820, for sale in an secondhand store. David was instantly fascinated, not with the actual shawl, but with the mechanics of a loom that could create such an intricate complex pattern. They purchased the shawl for just £7. 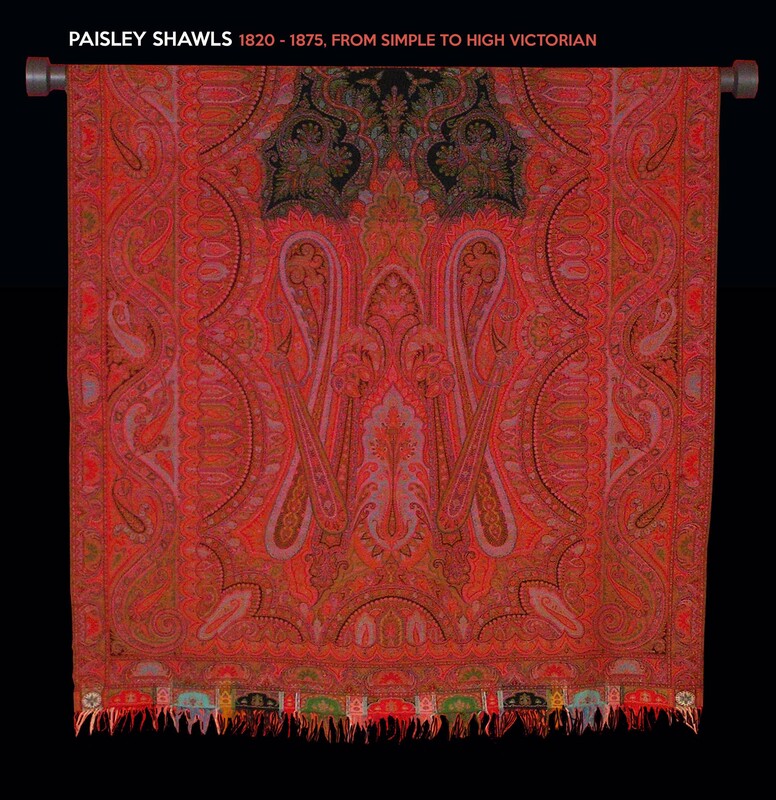 Since then, they have become avid collectors of Paisley shawls – from simple to high Victorian, from all over the world. Amongst their collection are kirking shawls, marriage shawls, funeral shawls, mourning shawls and more, all dating between 1820 – 1875. The Paisley shawl descended from the 11th century Kashmir shawls – over time, travel and trade brought them to Europe. Around 1808, the first shawls of this kind were being produced in Paisley, Scotland, beginning a seventy-year period during which the town of Paisley became the most important centre of production for these kinds of shawls. And – in another twist of fate – David was thrilled while doing family research to discover that his great-grandfather had lived in Paisley in the very lane where the original Paisley shawl mill stood. At the Quilt & Craft Spectacular 2018, five of these spectacular pieces were exhibited… on display just a teaser – we will be displaying the entire collection at the next Quilt & Craft Spectacular, November 2020!